For physicians who use or are considering using ESWT in their own practices, research and learnings from like-minded professionals are invaluable. That’s exactly what you’ll find in the Level 10 book, Shock Wave Therapy in Practice: Enthesiopathies, available here as a downloadable PDF. The book, written by globally renowned Orthopedic Specialist Ulrich Dreisilker, provides key insights to doctors who treat patients with enthesiopathic conditions. For example: How do shock waves actually work? And what do we know about the different treatment methods in everyday practice? Learn how ESWT has evolved over time, after initially being used in the 1960s for the extracorporeal fragmentation of kidney stones. Also gain insights related to mechanical energy without tissue damage, the initiation of healing processes, and how ESWT was used in the first orthopedic treatments for pseudoarthrosis. This brief history also addresses how, over time, both focused shock waves and radial pressure waves were used for an increasingly wide range of indications. 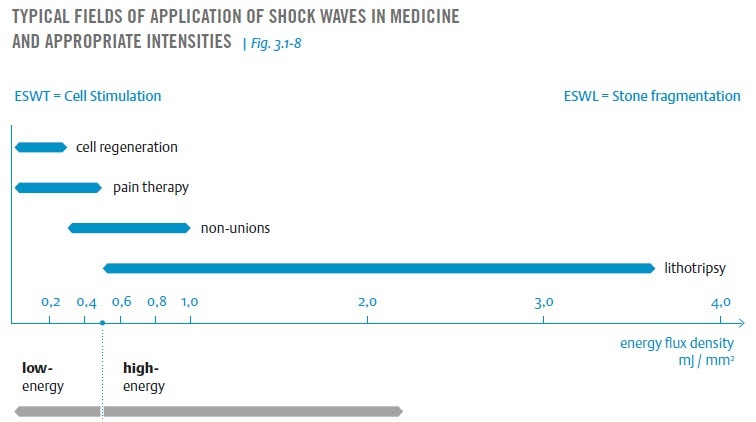 What are the physical characteristics of focused shock waves and radial pressure waves that are used in medical practice today? This section covers in detail how they are generated, the sources used in medicine, how energy is released into the body, and the typical fields of application. This section will give you an idea of the theoretical models used to explain the effect of shock waves. It explains the biological reaction of tissue caused by compressive stress, the molecular biological effects that occur within the healing process, and the physical reactions that occur within the body. Esteemed physicians Danilo Jankovic and Ulrich Dreisilker share their learnings on treatment sessions, dosages, localization of treatment and trigger points, the measurement of treatment success, and much more. Interested in the complete Level 10 book, Shock Wave Therapy in Practice: Enthesiopathies? Download the full book for free as a PDF. Questions or comments? Ask them here.